Who's Who 1949. 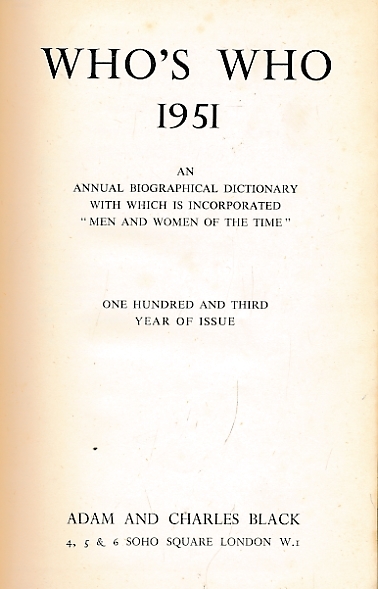 An Annual Biographical Dictionary. 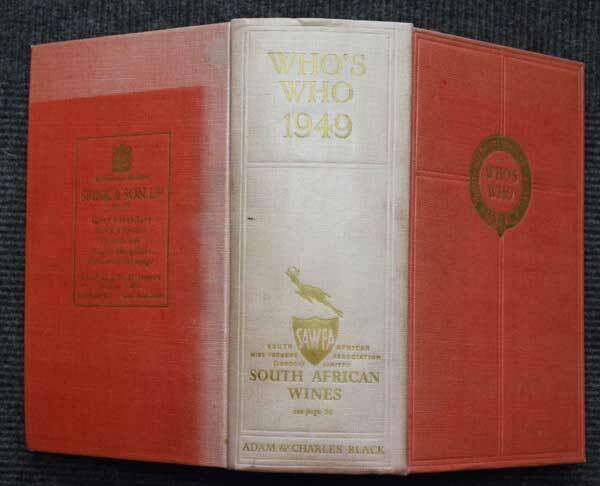 Who's Who 1951. 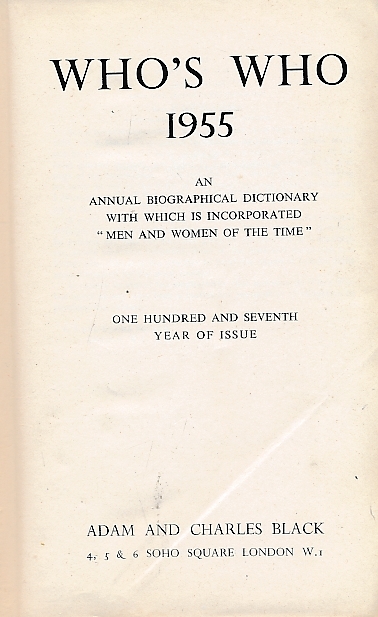 An Annual Biographical Dictionary. Who's Who 1955. An Annual Biographical Dictionary. Who's Who 1957. An Annual Biographical Dictionary. 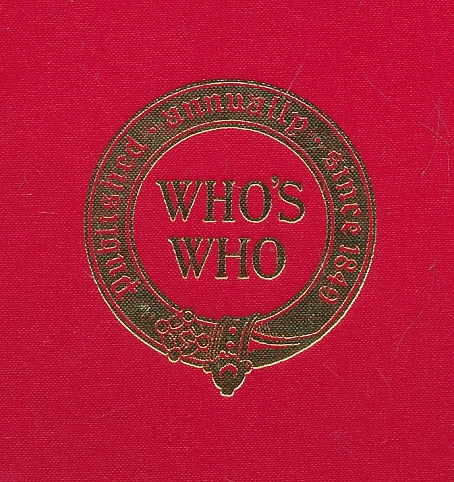 Who's Who 1961. An Annual Biographical Dictionary. Who's Who 1967. An Annual Biographical Dictionary. Who's Who 1970. An Annual Biographical Dictionary. Who's Who 1974. An Annual Biographical Dictionary. Who's Who 1975. An Annual Biographical Dictionary. Who's Who 1977. An Annual Biographical Dictionary. Who's Who 1979. An Annual Biographical Dictionary. 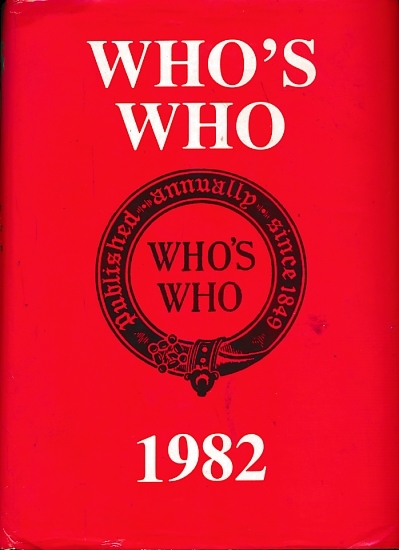 Who's Who 1980. An Annual Biographical Dictionary. Who's Who 1981. An Annual Biographical Dictionary. Who's Who 1982. 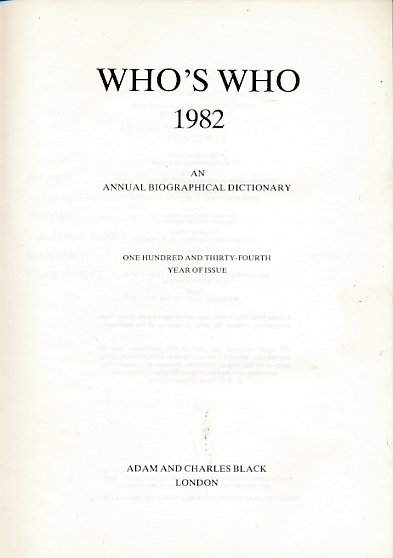 An Annual Biographical Dictionary.